What is wrong with Oli? The euphoria associated with the first ever communist-led majority government in Nepal is vanishing into the thin air. 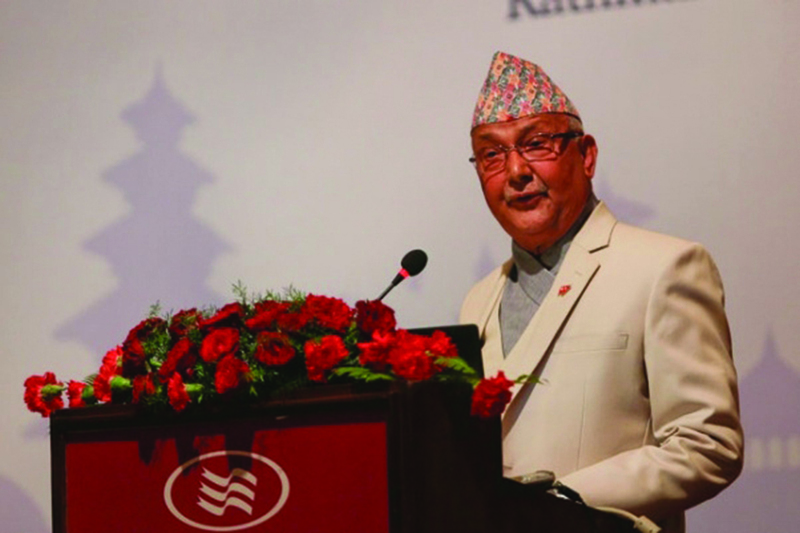 It is nearly six months since K P Oli has been in power. Rather than exhibiting performance, he is still occupied with churning out tukkas here and there. Of late, with a call to dream even after life, he has transformed into a sentimental poet. There are people who believe in life before death and there are people who believe in life after death, but it is rare to find people who believe in dreaming after death. Other than verbosity, the motto of ‘Prosperous Nepal, Happy Nepali’ is nowhere near to being realized. Rather the spectre of ‘Poor Nepal, Sad Nepali’ continues to haunt us. Oli’s dreams are slowly turning into nightmares. 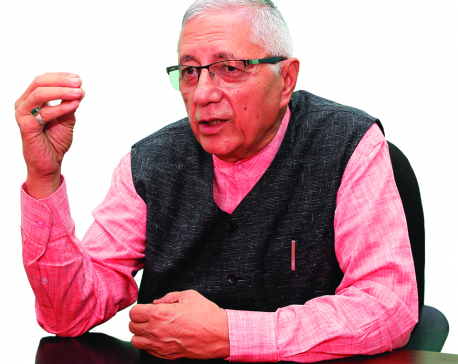 Immediately after elections, even without waiting for the House to take shape, Oli was impatient and desperate to kick his predecessor—Sher Bahadur Deuba—out and take the mantle of power—as if he was here to perform a miracle and any delay would be a great loss to the country. Soon after being elected the chairman of his party, he appeared on television screens—tearful eyes, sentimental, and admitting how little time he has due to his worsening health and how he would not miss a single opportunity to do good for the country. He spoke of the urgent need to bring drastic changes in the lives of people and promised that he would leave no stone unturned to achieve this goal. That was Oli five months back. Compare that Oli with today’s Oli and one sees the marked difference. Reading his everyday statements published in the media, including political cartoons, he seems to be enjoying sadistic pleasure from humiliating defeat faced by Nepali Congress. This type of pleasure is called schadenfreude in Germany. After party unification with Maoists and Upendra Yadav joining the government, the government now has a two-thirds majority. People expected his government to be strong and stable, at least, for the next five years. But it has appeared neither strong nor stable. Instead it has exhibited feebleness and vulnerability, similar to the one we experienced earlier. Had it not been so, the government would not have been susceptible to a medical doctor’s fast-onto-death. During his earlier stint as the PM, he bluffed Nepali people with the promise of displacing killer tuins by suspension bridges, connecting houses with gas pipelines and thus relieving people from having to carry heavy LPG gas cylinders. This time his bluffs are even bigger and greater: railway links with China and rail and waterway links with India. He has called Nepali business community to start producing something in lot so that returning cargos need not go empty. He has made tall promises that no Nepali will have to die of hunger and cold. His cabinet colleagues are competing with each other to further bluff Nepali people. His Minister for Foreign Affairs predicted that within a decade, instead of Nepalis going abroad, there will be a rush of foreigners seeking jobs in Nepal. We already have a rush of dollar earning foreign consultants, expats and advisors. A majority of political leaders in Nepal are incapacitated by a lack of proper schooling and education. This is primarily due to heavy involvement in politics plus long-term imprisonment during their political struggle. However, this can be easily compensated by hiring best brains available in the market. It is said that an executive is best judged by the number and quality of his advisors. Look at Oli. He is literally besieged by hungry party cadres, expecting an opportune moment to have a delicious square meal anytime. I have written earlier that the corruption during communist regime will be totally different from the one we observed during the days of Congress. Party henchmen and commission agents have now pervaded the government. Had this not been a factor, why is the government purging bureaucracy nearly after six months coming into power? It is merely for making for more space for party cadres and henchmen. 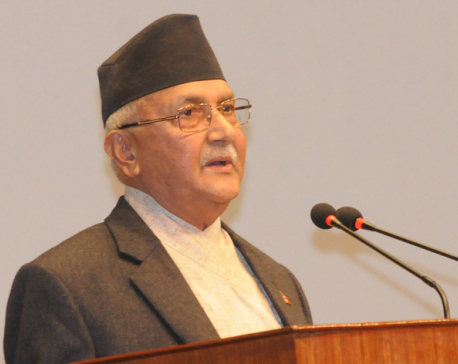 Oli government must have realized by now that it is not a monolithic body. We have army government, police government, bureaucrats’ government, political government, local government, NGO and INGO government and many more to deal with, including foreign governments. Winning elections and getting into power is one thing and managing the diverse interests is totally different. One can divert public attention by restoring to rhetoric, making pompous state visits, but as the reality sets in, the daily grind is going to take its toll. Forget about talking big and tall when you cannot even manage garbage in cities. Hope he will not rebuke me by saying, “It is not job of the government to manage street garbage.” I would say, “It is also not the job of the prime minister to spend his precious times reciting poems”.